RowZambezi is a group of international rowers who are exploring 900 km of the Kafue river and Kafue Flats in Zambia in July and August 2018. 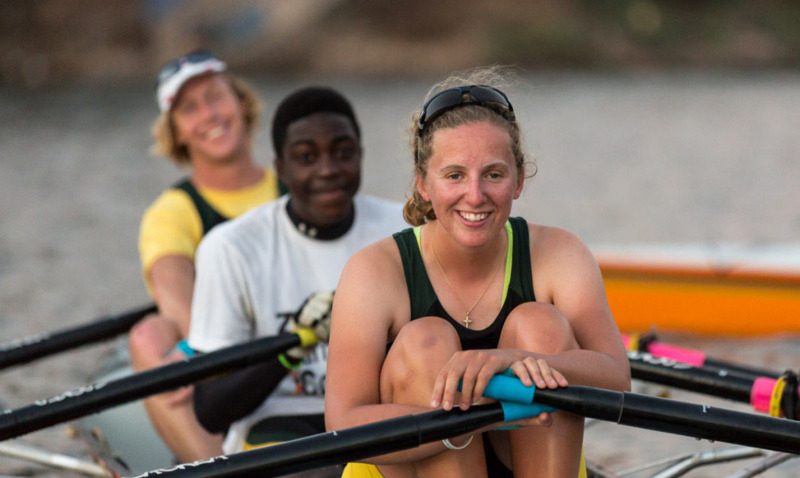 Our team includes elite and Olympic rowers from The Zambezi River Basin nations of Namibia, Zambia and Zimbabwe, as well as rowers from South Africa, the USA and elite and Olympic rowers from the UK. We are not only raising awareness of the critical issues that the Zambezi River Basin, and its tributary, the Kafue river, are facing; we are also raising money to support WWF and World Rowing build a water research and rowing centre on the Kafue river. This will become an important source of environmental data, as well as an opportunity for more rowers to enjoy this extraordinary and beautiful place. We will carry out water quality testing during our exploration, and make targeted observations on areas of interest e.g. animal population density, and numbers of fishing villages. Our journey will be a drop in time, as we record what we saw when we went to explore the Kafue. We will continue to support other water based charities, such as Village Water, who are installing wells in the Zambezi River Basin area. In 2018 RowZambezi will explore 900 km of the mighty Kafue River in Zambia, the largest tributary to the Zambezi River. The Kafue river supplies 40% of Zambia’s drinking water, generates 50% of Zambia’s hydroelectric power and 90% of the national sugar production of Zambia. The capital city of Zambia, Lusaka, with a population of nearly 2 million, is dependent on the Kafue for water, power and food. The river traverses the strategically important Copperbelt, and nearly every business in Zambia is either directly, or indirectly, dependent on the Kafue. However, like the Zambezi River Basin within which it sits, the Kafue River is under enormous pressure. According to a 2010 World Bank report climate change is forecast to reduce water yields from the Kafue sub basin by as much as 34% by 2030, reducing fish, crop and energy production. Our exploration will take us through both the Kafue National Park and the Kafue Flats, the flood plains of the Kafue River. The Kafue National Park is the same size as Wales or Massachusetts, and is the second largest game park in Africa. Some of the biggest crocodiles in Africa can be found in the park, as well as elephants, pods of hippos, and numerous predators including lions, leopards, cheetahs, wild dogs and hyena. The Kafue Flats, a Ramsar site, covers 650,000 hectares and are 250 km long and 60 km wide. The area supplies 2,000 tons of fish p.a., and roughly 50% of the entire Red Lechwe population of Africa can be found there, as well as the Kafue lechwe which is unique to the Kafue Flats. Our exploration will be the first time anyone has taken rowing boats through the Kafue National Park, and the Kafue Flats.